A great set in good working condition. 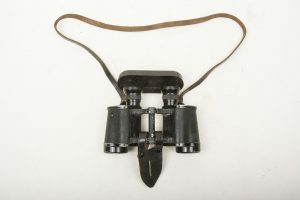 The binoculars are in good usable and adjustable condition with the Strichplatte in place in the right eyepiece. Hard to find set! 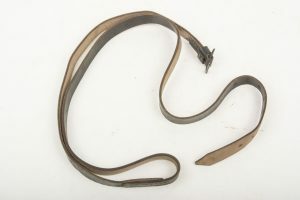 Hard to find spare 6×30 Dienstglas case strap in very good and supple condition. This long piece is always missing, whilst the short piece mostly still retains to the case. Impossible to find as a spare! 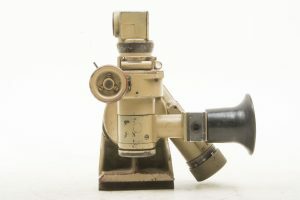 A very nice late war 6×30 power binoculars or Dienstglas in yellow colour. 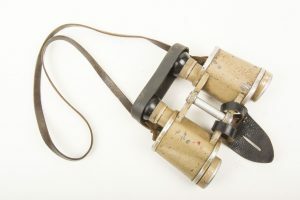 These late war binoculars is fitted with its original strap with the textbook original yellow studs. The strap is in mint condition. The binoculars are clear and usable. The Strichplatte is visible in the right eyepiece. 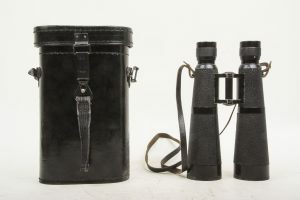 A very nice pair of late war binoculars still featuring most of its wartime yellow paint! 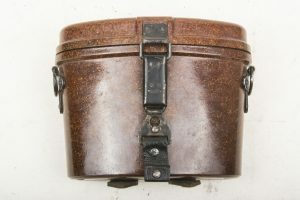 A nice tan painted 6×30 Dienstglas or army issue binoculars. 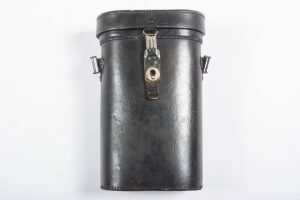 These where issued to all branches in the Wehrmacht. The binoculars retain their original tan paint up to 75% and can easily be graded near mint. 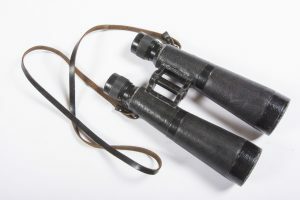 The binoculars are marked CAG indicating production by Swarovski. Extremely hard to find a pair with this amount of paint. 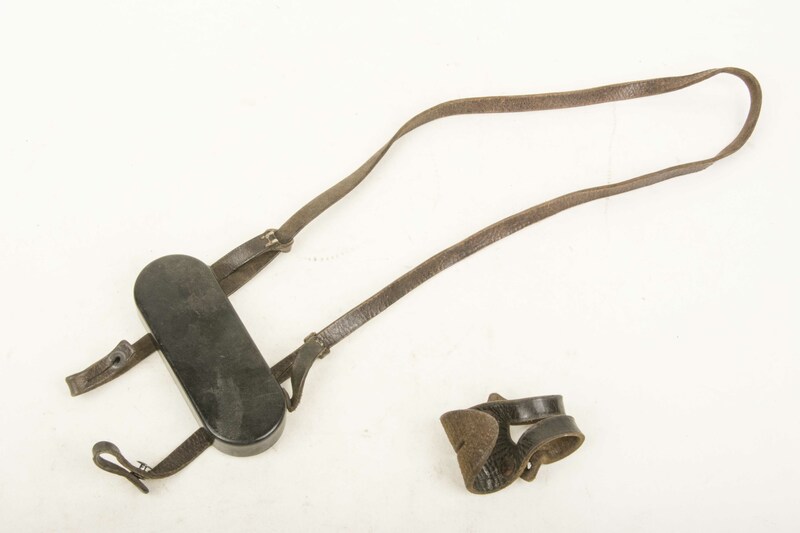 The leather strap and lens cover are original to the binoculars and have the textbook tan painted studs. 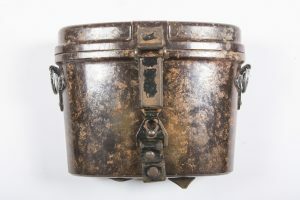 A full matching set for a 6×30, 7×50 or 10×50 Dienstglas. Hard to find spares to instantly complete your Dienstglas binoculars! 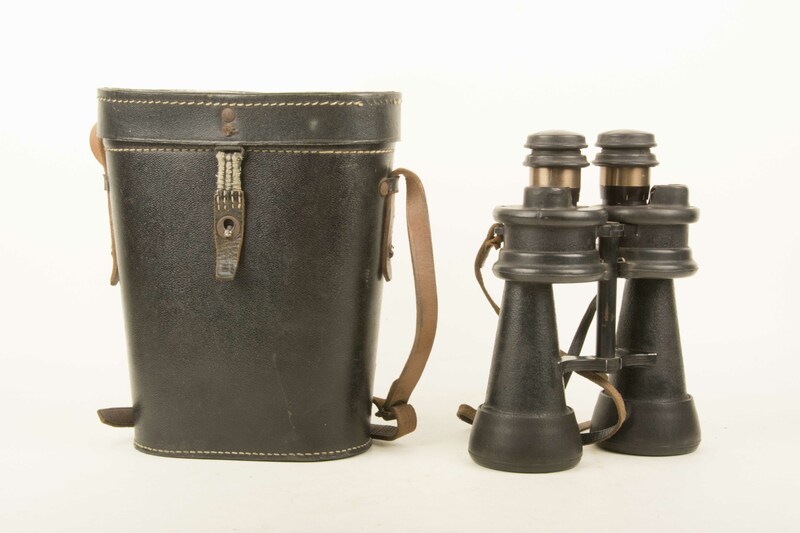 A nice complete set of armored Kriegsmarine 7×50 power binoculars. Nicely marked beh indicating production by Leitz. The binoculars are complete with the rubber armor which has been personalized by the individual Kriegmarine soldier. The set is clear and the rubber armour is nice and supple. The optics are clear and very usable but not completely undamaged because one of the top lenses has a hairline crack. This does not deduct from the usability as it is very clear and usable! 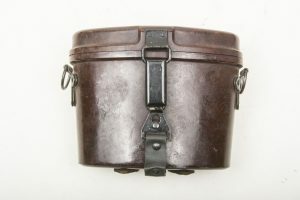 These binoculars are great for a Kriegsmarine collection!